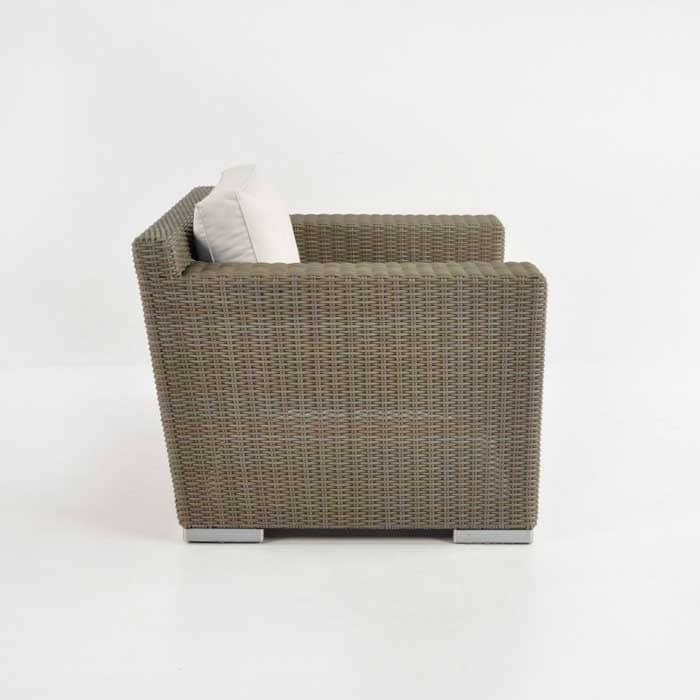 One of the most generous of the Outdoor Wicker Chair Line on offer at Design Warehouse, the Henry Outdoor Wicker Chair continues to keep our customers in style and comfort! At a brilliant 109 centimetres by 89, the Henry Club Chair is perfect for cozying up with a good read after a long day at the office, or for additional seating in a bigger set up. The Henry Collection is handsome, majestic and elegant. Known for its strong, bold lines and a the linear framework which contrasts brilliantly with the plush softness of the Sunbrella® cushions. Perhaps you want to create an atmosphere of rumination and relaxation, or just a place to host friends for chat sessions? Try 4 Henry Club Chairs around a water feature for a spot of serenity. 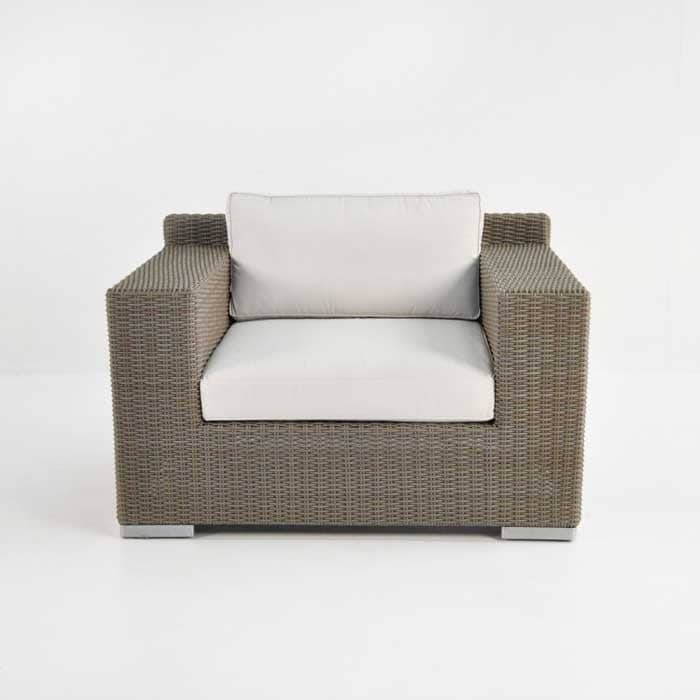 If you need a larger seating area for the whole family, for parties and gatherings; then place a Henry Outdoor Wicker Chair on either side of a Henry 3 Seater with a 2 Seater opposite and you have a wonderful spot for many, many hours of fun! 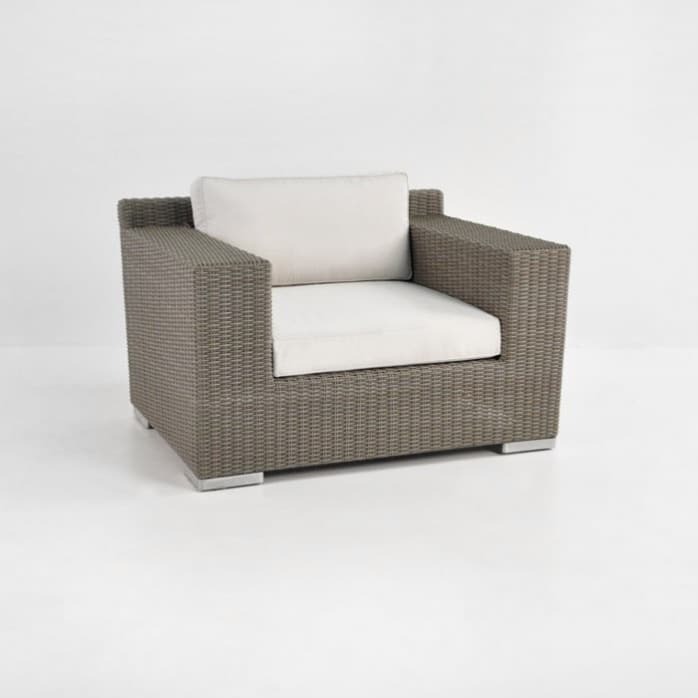 Proudly made using powder-coated aluminium, ‘Kubu’ coloured Viro® wicker, and cushions made out of ‘Canvas’ Sunbrella ® fabric with Quick Dry foam, the Henry Club Chair is not only fabulous looking but a piece you will have for future years to come. The Henry Club Chair comes with FREE Sunbrella® cushions! Cushions are available in Canvas and Taupe. Colour Shown is Canvas. 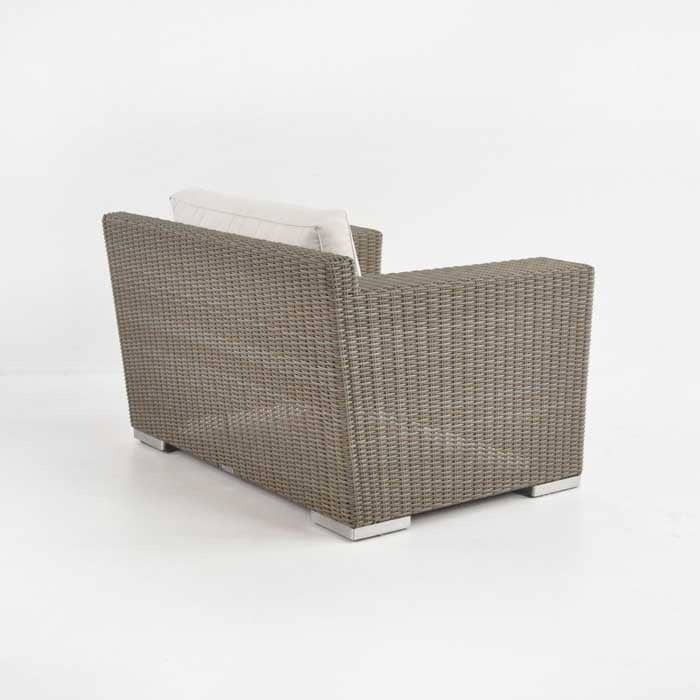 This Outdoor Wicker Chair is available in Antique Java and Kubu wicker Colours; Colour shown is Kubu.